We remain true to the same principles on which our company was founded over years ago: providing superior service to our clients, putting quality first, creating opportunities for our people. 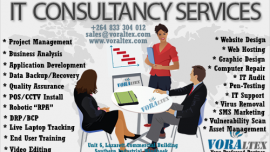 Voraltex offers a full suite of customizable outsourced IT solutions. Our services are reliable and affordable so you can focus on what you do best. Proudly Designed by Voraltex Team.